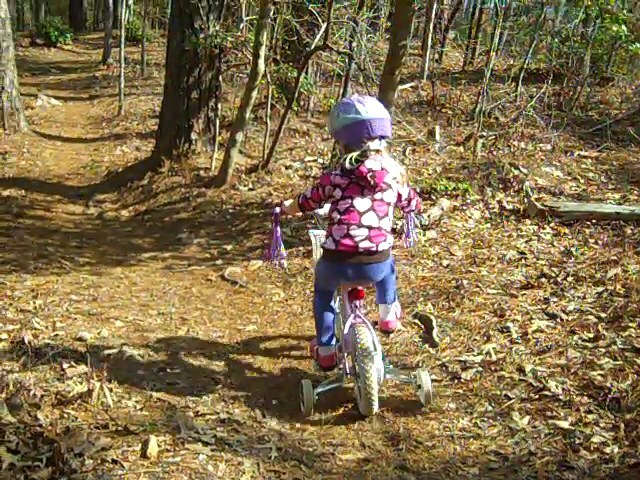 Today, we packed up all three of our bikes (after dusting the cobwebs of mine) and headed to Falls Lake to introduce Clare to the mountain bike trails (beginner trails of course)! 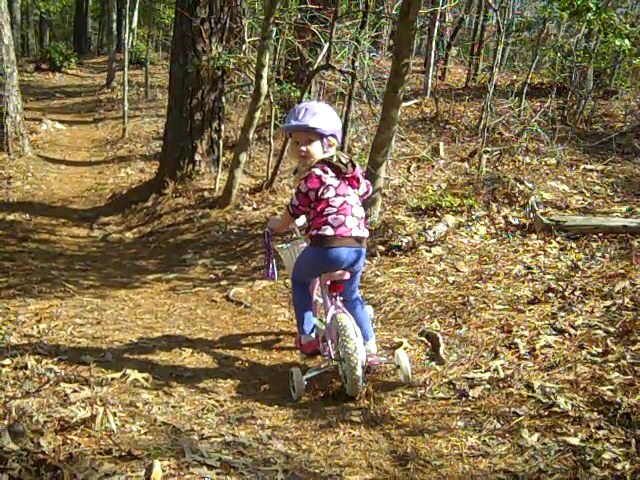 Although Clare loved being in the woods, her little bike wheels were definitely not made for pine needle terrain. 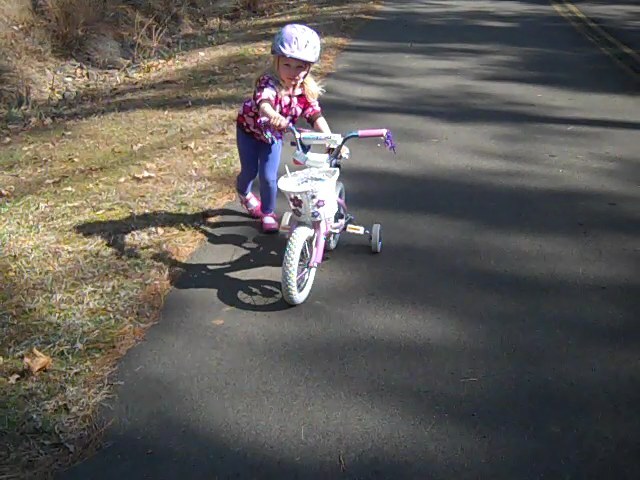 So, Clare and I diverted to the pavement while her Daddy got an incredible workout on the trails. The weather was simply BEAUTIFUL!! Spring Fever indeed. 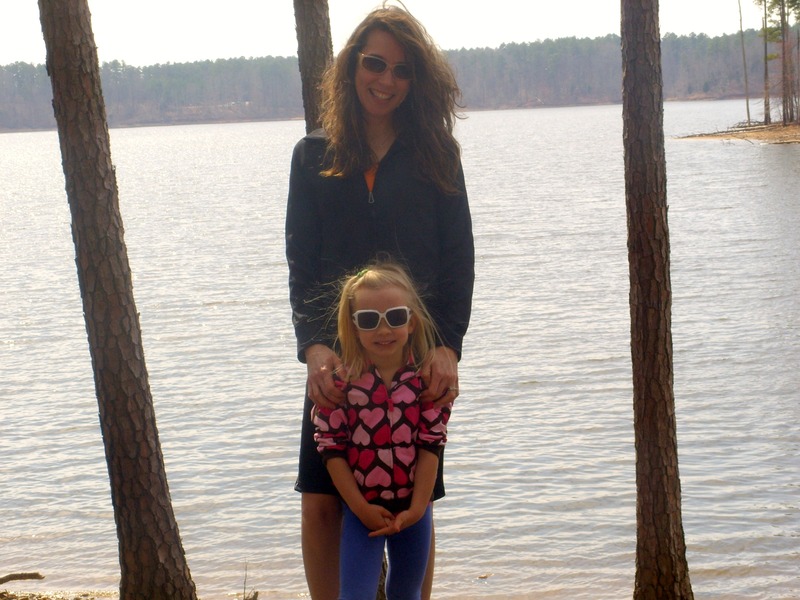 We had a fun picnic lunch lake-side and then Clare had a blast swinging at the playground area. 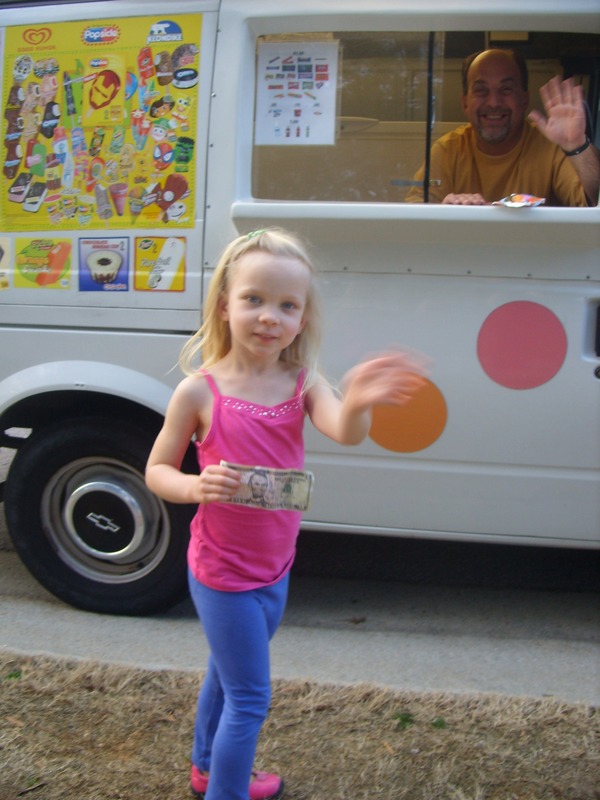 And then, to top off the terrific day, as Clare is winding down before dinner we hear the catchy music coming from no other than The Ice Cream Truck! A first for Clare and quite the treat. A sure sign that Spring is just around the corner.